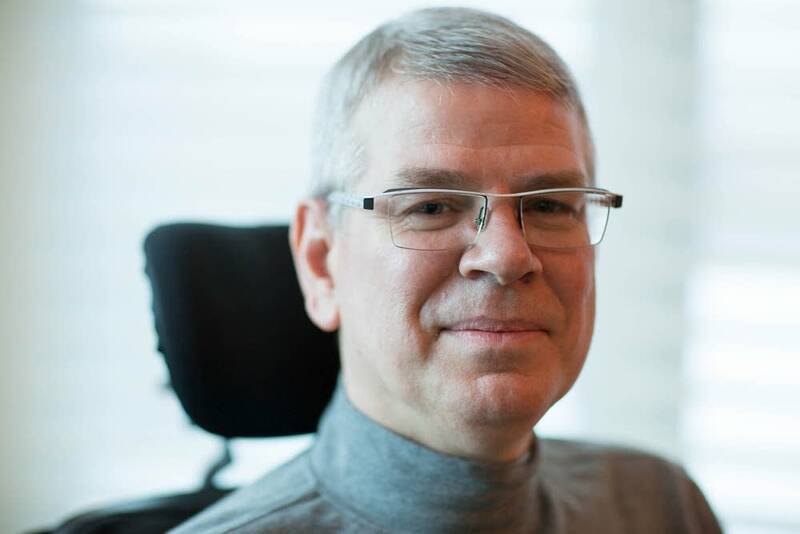 Bruce Kramer, a college dean, teacher and choir director whose career was cut short by amyotrophic lateral sclerosis, or ALS, died early Monday afternoon. He was 59. Kramer died at home, in the Hopkins condo where he lived with his wife, Ev Emerson. She was at his side, along with other family and friends. Kramer learned of his condition in late 2010. 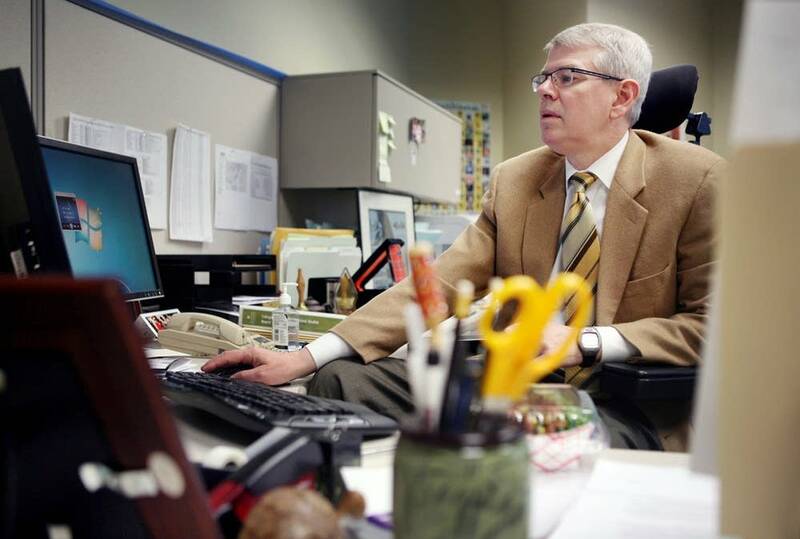 It was the beginning of an unusually public end-of-life journey, one that he shared with colleagues, church parishioners, students, online readers and a radio audience. 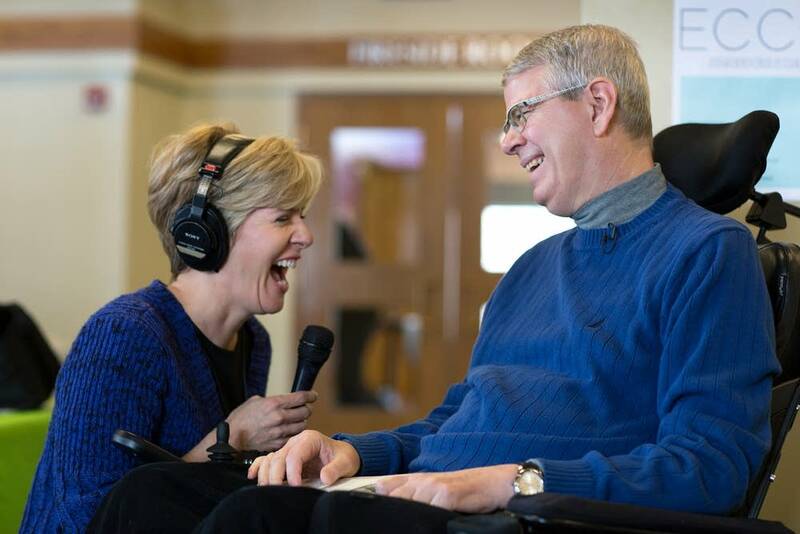 In the years after his diagnosis, Kramer sat for dozens of interviews with MPR News' Cathy Wurzer. In those interviews, Kramer charted the course of his affliction — or his "dis ease," as he referred to it in his blog, "The Dis Ease Diary." "ALS has changed me," he wrote in 2012. "Dis ease has depleted me. I can mourn each loss, but I must not allow myself to become comfortable on the new plateau where it lands me, for that is not the way of life we are granted." The topics Kramer and Wurzer covered ranged from the physical challenges of ALS to the spiritual implications of approaching death. As his condition progressed and his health deteriorated, Kramer found comfort at different times in music, in writing, in yoga, in silence. And he clearly valued the chance to communicate with a mass audience. On his blog, Kramer described the opportunity to work with Wurzer as a privilege. He wrote, "I believe that you would have to agree that for a media person to stick with a story as it progresses in such a sensitive and truthful way is quite rare. "Cathy is that rare journalist who understands the need sometimes to set aside so-called objectivity and to really seek out the meaning in a story." Wurzer agreed that her work with Kramer had taken her outside her usual role as a journalist. At first, she said, "I was trying hard to maintain a journalistic distance from Bruce. In hindsight, I wanted to keep him at arm's length because I just wasn't sure how deep, emotionally, I could or should get with him and with his wife, Ev." "After having a very frank off-air discussion ... I realized that being part of Bruce's experience would mean I was going to have to be fully present with him and his family. The arm's length I was keeping him wasn't going to cut it and we both knew it. "It was then and there that a friendship was formed and we began to relax and trust each other. I can't explain it any better than that. The access he has offered me has been extraordinary. It has been raw at times, but never voyeuristic." Kramer eventually asked Wurzer to deliver his eulogy. She agreed. She also contributed to a book he wrote about his experiences, "We Know How This Ends: Living While Dying," published by the University of Minnesota Press. "Bruce means the world to me," Wurzer said. "He is a cherished friend, and my life isn't the same thanks to him. ... This series and our friendship is a gift I'll always treasure." Wurzer was among those gathered at Kramer's home when he died. "I did tell him I was going to be there till the end," she explained after returning to the MPR newsroom Monday. "That was part of our deal." She described his death as a "peaceful passing" and Emerson as "a rock ... his rock." 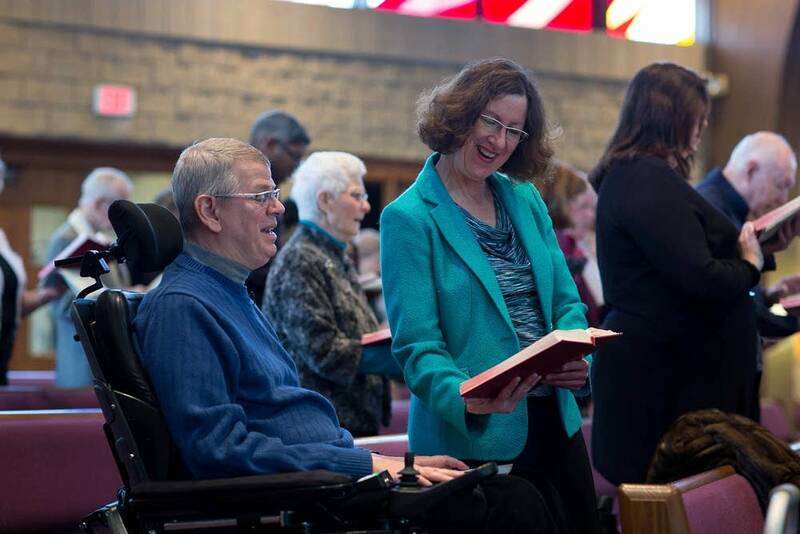 When MPR listeners met Kramer, a year into the disease, he was still able to direct his church choir occasionally, his only concession the cane he kept close at hand. By the end he was unable to move his arms and legs, and breathed with the help of a machine. In his interviews, Kramer charted the steady progression of his illness. There was never hope of a cure. From his diagnosis onward, Kramer understood that he would likely die from the degenerative neurological disease or one of its many complications. 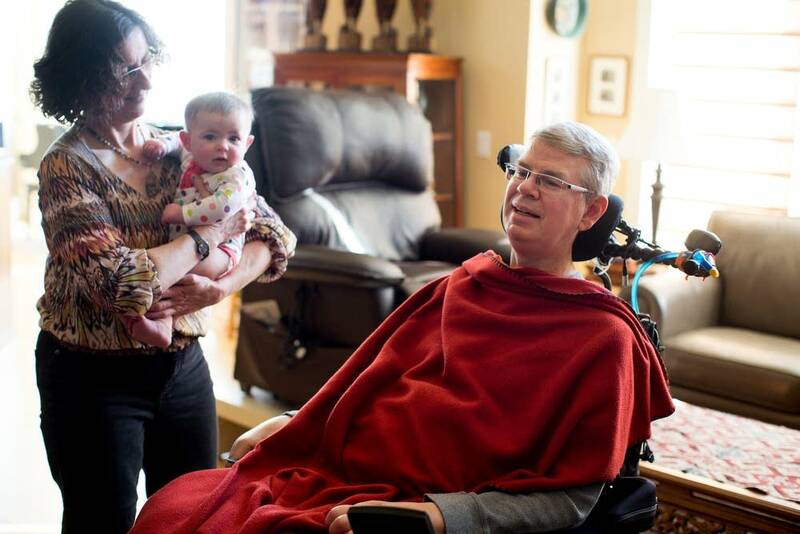 "Probably the greatest gift I've learned from ALS is to try and live in the moment, no matter what it is," he said in 2012, "and no matter how bad or how good, to try and live in that moment." Despite his worsening condition, Kramer hated to give up his position as dean of the School of Education at St. Thomas University in St. Paul. "One of the things I found out when I got my diagnosis was I really love my colleagues," he explained to Wurzer in June 2012. "I really do. I really like being with them. And I feel like there is a sense of purpose that we embrace for the most part, and that is life-giving. So that's part of it. "And part of it is that deans don't grow on trees. It's not that they won't be able to find another dean. They will. I've been at St. Thomas for 16 years, and I at some point will happily turn it over, but right now between the energy I get just being with these wonderful people and the responsibility I feel, to them and to myself, to do it and leave it right, keeps me wanting to work." He finally took a leave of absence in fall 2012. "It used to be that whatever it took to get to work was worth it, and I could find the energy, I could find the recovery to keep going and enjoy the work," he explained to Wurzer as his office was being packed up. "Now it just is amazing how much energy it takes to get ready, and I don't recover. And then I get to work and it just sort of wears me down. This is a stressful job, and I've actually enjoyed the stress. You kind of get high on the adrenaline, right? ... You get addicted to it. "But really, in the last month, something stressful happens and I'm just knocked for a loop. I can't dust myself off, I can't recover from it. I can't get the fatigue out of my eyes. It just is cumulative, and that's no way to be doing this job. So I realized that it's time. I can't do this. This is going to sound funny: It's affecting my health." Wurzer asked, "What fed you professionally all this time?" "There's nothing like teaching," he replied. "There really isn't. Teaching is about connecting. It's about really trying to understand the person that you're working with, the people you're working with, understand their reality. And then try to introduce to them a broader picture that allows them to see things that they might not have seen except for the fact that we had this conversation, we read this particular reading, we analyzed this particular case, we did something together and found something bigger than either one of us. That is just — it's just the greatest high I can think of." In some ways, Kramer remained a teacher as his condition deteriorated. 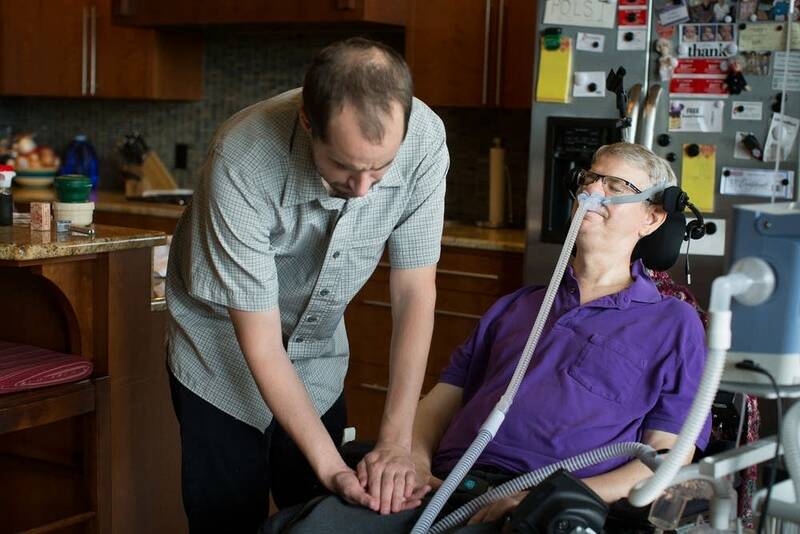 He took part in drug trials because he wanted to help expand the medical profession's knowledge of ALS and how to treat it. He spoke to groups of medical students and others. He made arrangements to donate his body to the University of Minnesota Medical School. And last year, he sought an appointment with one particular doctor, intending to help that doctor improve his sensitivity skills. The physician who delivered Kramer's ALS diagnosis in December 2010 did so, Kramer recalled, in a way that made the experience harder than it needed to be. The doctor sat across a large desk from him and delivered the news quickly and without compassion. "I recognize that a lot of our physicians are not trained to be vulnerable," Kramer told Wurzer. "They're trained to be objective and to see their patients as objects to be dealt with. ... I'm not sure if that kind of objectivity is really appropriate. And so, for three years, I've noodled on that." So he made an appointment and confronted the doctor. He described the visit as "the opportunity to close a circle." Afterward, Kramer would say little about how the doctor received his former patient's message. "I'll just say this," he said. "If someone like me came into your office — and you haven't seen them in three years — and laid this out pretty carefully, I would think that this would take you by surprise." He described the doctor as "a little" defensive, but said they "parted cordially." Giving up his formal career as an educator was only one of many accommodations that ALS demanded of Kramer. He and Emerson moved from their beloved 1904 two-story house in south Minneapolis to a new, wheelchair-accessible condo in suburban Hopkins. He had to learn to use voice-recognition software to continue writing. Twice, as a participant in drug trials, he was forced to stop using medications that he thought were helping him. As bleak as many of his days were, some brought him joy. Chief among them was the day his first grandchild was born. "I'm going to be a grandpa!" he exulted to Wurzer in July 2013. "Our son David and his wife Athena are going to have a little girl. We're just, oh, we're thrilled ... I have started to read books into the computer. I'm going to make MP3s — discs — of Grandpa reading, so when Grandpa can't read, the books will still be there." He wrote on his blog: "One cannot help but marvel at the contrast — beginning and ending, alpha and omega, birth and death, baby and grandfather yet-to-be." He felt an intuitive kinship with his granddaughter before he met her. "I think I am in a distinctly authoritative place to tell you how babies feel," he wrote. "You eat when somebody gives you food. You wear what they put on you. Every little intimate detail of living I now depend on somebody else for, other than breathing. So, that's kind of the life of a baby. "Except with a baby, we have this hope they are going to be gaining capability and they're going to be building capacity and with me, I'm shedding capability and shedding capacity, and that intersection seems to me to be meet and right. It's just the circle of life. We are born and we die and I'm so thankful that I get to be here to see that completed because, I will tell you, that when I was diagnosed, I really didn't think I would live long enough to see grandkids. "I don't feel so much like I'm dying as that I'm turning it over. And I like that sense." After his granddaughter, Hypatia, arrived in August 2013, Kramer told Wurzer that he was "just absolutely gaga, smitten, totally in love. ... I just never quite experienced anything like this." "Instead of walking off the stage to his right as he was supposed to do, he stepped with purpose and direction to his left, holding his hand up to shield his eyes from the stage lights, pointing in my general direction and looking as if he wanted to greet an old friend. And he came to the edge of the stage in front of me, and when I realized he was coming to greet me, I began to cry. "One of the Tibetan musicians behind me gave my daughter-in-law a scarf, and he took the scarf and held it to his forehead and then said, 'Meanwhile, my blessing,' and he gave it to me. Namaste. I sobbed and my family sobbed in the beauty and the blessing, and in that moment it hit me, again like a bag of bricks, that a blessing does not stop in its bestowing." It was Kramer's 58th birthday. In 2012, at age 56, he had told Wurzer that he hoped to live to age 60. Emerson, his wife, said, "That's a lot better than what we learned from the literature about survival rates. I'll take 60, that sounds good to me. I'll take 65, if you've got it in you." By summer of 2014, it had become clear that he did not have it in him. In July, he scheduled a meeting with his Mayo Clinic caregivers to say goodbye, but then he canceled it because he lacked the strength to make the trip to Rochester. In October he told Wurzer that he was finding it more difficult to swallow. Late in 2014, he began receiving hospice care. He had hoped to be able to attend a book-release event this Wednesday. But he began suffering from flu-like symptoms and having trouble breathing. In an interview published last Valentine's Day, Kramer said that he and Emerson had "found acceptance," in spite of everything they were going through. "We accept what has happened," he said. "I think that there is something far deeper, a gratitude that the two of us are still together ... and the gratitude wouldn't come without accepting the situation as it is. Not for the way we wish it would be, but as it is." A memorial service is scheduled for 10:30 a.m. April 11 at Christ Presbyterian Church in Edina.